Pics of Neil Armstrong and Buzz Aldrin, first men on the moon. Interests:Police pistol competition, audio video church work, all IH. Own two Blsck Stripe 1066 and awaiting the right 5488 MFD to come along. Also, want to own a Hydro as part of my collection. And how far we have fallen in National prestige since then. Not trying to rain on the party. Just think where we could be, IF subsequent presidents had pushed for the continuation of space "EXPLORATION", instead of what is basically a near-earth space taxi, where we sell rides in it for a price. And, do NOT forget that NO other country has even tried to duplicate what WE accomplished. Did we fall that far? Back then most of the world hated us. We were getting a lot of young men killed in a war half way around the world. Most of the Mid East hated us for supporting Israel and because we were not the "right" faith. Peace protesters were burning the flag and race riots were burning our cities. Most 3rd world staving nations were angry at the money spent on the moon mission that could have helped them out. People here in the US were begging for more money to train poor people in job skills and to meet the needs of our schools too. So just what/where is this prestige you speak of? Yes we made a lot of technological advances. But truth be told most of them came from the military and were in use. NASA took credit and some were then allowed to be used in the civilian sector. For example the technology to shrink radios. The US military had been using that technology for over a decade. Most people don't know about it but smart bombs were not new in the desert in 1991. They had been used in Viet Nam. Controlled by lasers and airborne computers. Heck the Sidewinder heat seeking missile was entered service in 1956 (not a typo, 1956). A terrain following auto pilot that would allow a fighter/fighter bomber to fly at speeds exceeding 600 MPH at less than 500 was in service by the mid 60's. So for NASA to come up with of the tech stuff they take credit for? Go look this stuff up. They claim that radar was new when Pearl Harbor was attacked. Researchers here in the US first were able to detect an aircraft with radar in 1934. England had radar stations they used at the start of the Battle of Britain in June of 1940, about 18 months before Pearl Harbor. So technology is sometimes repressed by the government for national security concerns. They are not going to share technology that gives our service members an advantage. NASA was a great way to declassify stuff the Russians had recently developed without letting them know it was old tech to us. I don't like farm subsidies. But I would rather they paid subsidies than to waste money in space with little to no benefit to us. Sorry, Acrylics, Velcro and Tang are not good enough. Thanks for the post TwoStep. I remember us staying up late and watching on TV--------believe we still had black/white TV at the time. And------alot of people claimed it was a staged hoax. We didn't accomplish it. A few scientist and engineers accomplished it. I was too young to even pay taxes at the time so I was of no help at all. Where would we be? Well they didn't pursue it because it's very expensive and people wanted a return on the money spent. There was nothing to be gained monetarily except by selling rides. We too still had B&W for a TV. My dad claimed that color TV was just a waste of money. Lot of people still think it was a hoax! Me? I think that US astronauts did in fact land on the moon. Too many people involved. By now at least one would have sold the story of a hoax if they had proof. Gotta remember, the greater number of people in on a secret the greater the chance it will be compromised ! And, exactly what 'return' have WE to show for the trillions of dollars pissed away on worthless social welfare programs, that have given us 'proven' results like Chicago, Detroit, 'open borders, 'refugees' from third and fourth world countries, and whatever else that does NOT contribute even such accomplishments such as Tang, or the zero gravity ink pen. OH gee, a zero gravity ink pen 🤣. Like that's doing mankind a lot of good! Art I don't care for any kind of government waste. I really don't care for most social welfare programs. But at least those programs keep people alive, they ain't laying in the streets dead. Lets see, I don't have one of them pens. I don't like Tang. Don't use much in the way of any type of plastics. I do know that my tax dollar has paid for both social welfare programs and For the money spent b NASA over a bunch of decades, 72 to now. And I can't think of anything, other than a few satellites they put up that they really accomplished much. And Musk is proving that he can put up satellites cheaper than NASA ever did. 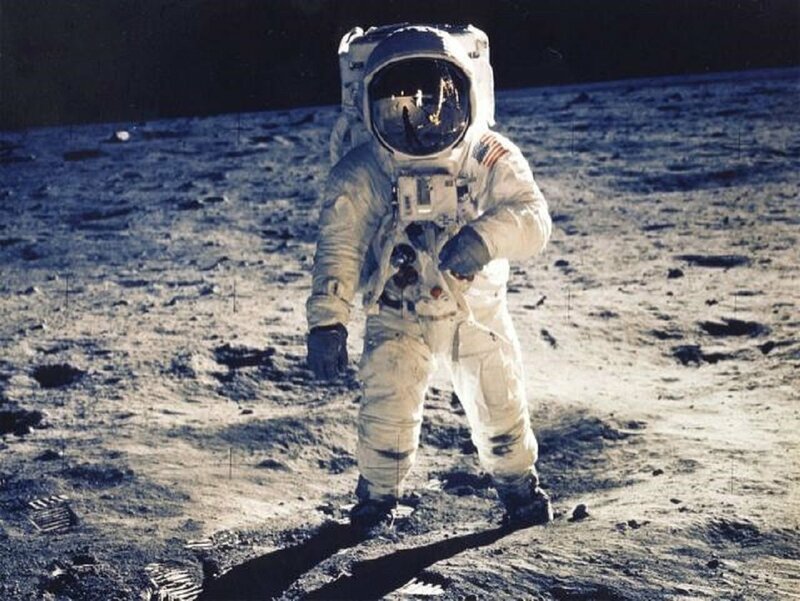 Now I heard on coast to coast the other night we already have a “space” force with a base by the one big crater where the guys from Apollo 17 had 30 minutes of lost time on the filming that they were doing. Once the "Space Force" is actually established, and they come up with their own academy to produce officers........will the students be "Space Cadets"? LOL at first everyone will come from the Air Force........ain't no balls there (inter service joking)! So, who loves us now? North Korea and Russia... go figure! We have done a lot of exploring since then. The robotic missions to Mars are a great example. Infinitely cheaper than sending people whom you have to keep alive. You can send out these robots and do nearly everything a human can do without the weight and risk of human baggage. We can get to all these places, faster better cheaper just by sending the machines. Then based on what they find we can decide whether or not it makes sense to send people. ............ Gotta remember, the greater number of people in on a secret the greater the chance it will be compromised ! How many now know looking at your fingers? I will skip out on the fast developing pixxing contest brewing here. Just say there is huge waste in expenditures in any government administered program-------including the military!!!! Completely off the mark. None of this is true. None of it. More welfare goes to rural southern states than anywhere else. Detroit in particular was the victim of trade agreements that allowed US corps to beat US working class over the head and bust the unions. Id give Trump some credit on that talking point but nothing is being done to reverse that. If immigrants were granted legal status and could work here as legal W2 tax payers it would build the economy not wreck it. Since we really dont need people to go into space then Tang and pens dont mean a thing. The space program lead to the development of the microchip which you are using to post on the blog right now and pretty much everything else you use today unless you are Amish or live in a cave. Nope, the military lead to the development of the microchip (think aircraft mounted weapon systems and keeping weight and size down to increase performance), NASA just took credit for that and a lot of other things to try to justify their budget requests when tax payers were angry. More welfare goes to rural southern states? BS! The following listing of states has more residents that receive welfare versus an employed population. Now do you know what's wrong with this and the "southern rural states"? The guy who complied the info on this data counted government employees, government retirees and people drawing retirement social security! He did this to discredit states with liberal governments! Correct fact is that CA has about 13% of the population. CA also has the largest economy with about 13% of that of the US. CA population is about 38 million people. CA spends more on welfare than any other state. About 103 Billion each year. the following stated total about 80 billion combined for welfare spending. LA, AL, GA, MS, AR, MO, TN, KY, SC, NC and WV. You would have to add in FL to get over what CA spends and FL is not rural. Even adding in VA also no longer rural only brings it up to 91 billion. So lies from both sides dispelled! How about everybody taking one step back....then counting to 10? Now don't we feel better? 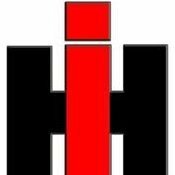 Interests:I.H tractors and equipment,chasing rabbits with beagles. Back to the Moon. The accomplishment was amazing and it all went off without a major glitch. But we were prepared for the worst, the other day I came upon Nixon's speech that was prepared in the event the astronauts could not get back home. event of a disaster besetting Apollo 11. I had followed the Mercury, Gemini, and Apollo missions all my life. Mom and dad let me stay home from school to watch many of them. After Apollo 11 landed I went down the road to the public access to a lake. Found a Beech tree and carved "Apollo 11 lands on the Moon, 7-20-69". Stopped there a few years ago and the letters are now hard to read but still there and brought back memories of that day and time. That's a cool memory. Neat there was still some evidence of it. I was still a month and a half from entering the world. Do kids even go outside to know what the moon is? But yes what an amazing task that they stepped on the moon and would have no idea what would happen. OH there is no arguing that it was an amazing feat. Just didn't repay the tax payers with much for their investment is all I'm saying. Nor will I question the courage of the men and later women who flew the missions into space. Yea the kids today know how to moon........as far as knowing what the real moon is? Most likely not! Thanks for the reminder. Kind of sad that it took us less then a decade to get to the moon after Yuri and Alan made their flights and that we beat the Russians to the moon and now we are paying them 75 million or thereabouts to ferry us to a space station that wouldn’t exist without them. Who really won the Space race?